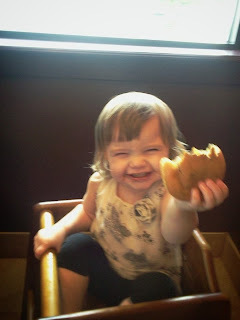 ThemeParkMama: Look what is new at Dunkin Donuts! Its that time of year again when everyone gets all cozy and enjoys themselves some pumpkin pie and what better way than in a doughnut? Like steak for breakfast? Check out their new Angus Steak Big n' Toasted which is 2 pepper egg whites and toast breakfast sandwich, or their new ranch or barbecue steak wrap (I tried this on my own very very good). 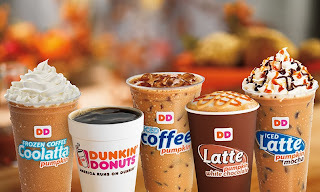 Look at the new drinks from Dunkin Donuts, they now have Pumpkin White Chocolate Latte, which is hot and sweet. Another is Pumpkin Coffee which you can have hot or cold, me and my daughters loved the cold coffee. Also try out the new Pumpkin Bagel and Pumpkin Muffin. All these products are here for a limited time so get them while they last. Don't forget to download the Dunkin Donut app which offers all kinds of great coupons and free gifts! I am able to offer one of my readers a $25 gift card, enter the rafflecopter to win, contest open to U.S. residents only, ends 10/31/13. The pumpkin bagel sounds intriguing. That pumpkin pie donut looks amazing! I'd love to try it! I would like to try the pumpkin coffee. I would like to try the pumpkin pie donut. I don't think my comment posted, blerg! I LOVE Dunkin, though my town doesn't have them anymore. There's talk of getting a new one soon, and I really hope so! Their croissant sandwich sounds soooo good right now. I would like to try the Pumpkin Bagel. The pumpkin bagel sounds great, especially with a little honey butter on top! The new Angus Steak Big n' Toasted sandwich looks delicious! I'd love to try the pumpkin pie donut! I love all things pumpkin! I'd love to try the Pumpkin White Chocolate Latte. 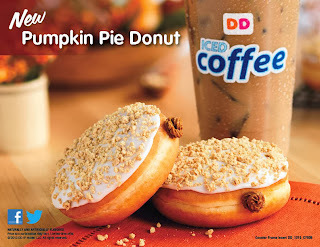 Im looking forward to trying the Pumpkin Pie donut and the Pumpkin White Chocolate Latte! Yum!! Thanks! White Chocolate Latte here :) yum! I look forward to trying the Angus Steak Big n' Toasted. I look forward to the pumpkin coffee. The pumpkin coffee is amazing! The pumpkin coffee sounds yummo! 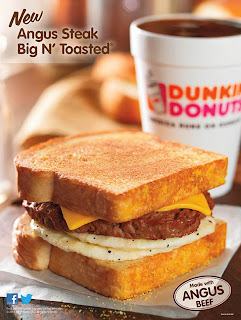 I love their chocolate filled donuts, but would like to try the Angus Steak Big n' Toasted sandwich. I can't wait to try a Hot Pumpkin White Chocolate Latte! 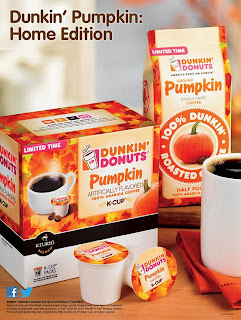 I can't wait to try the pumpkin coffee. Pumpkin Pie Donuts sound so good! I'd love the Pumpkin Coffee. I would like try anything pumpkin. Pumpkin White Chocolate Latte for me! Thanks! 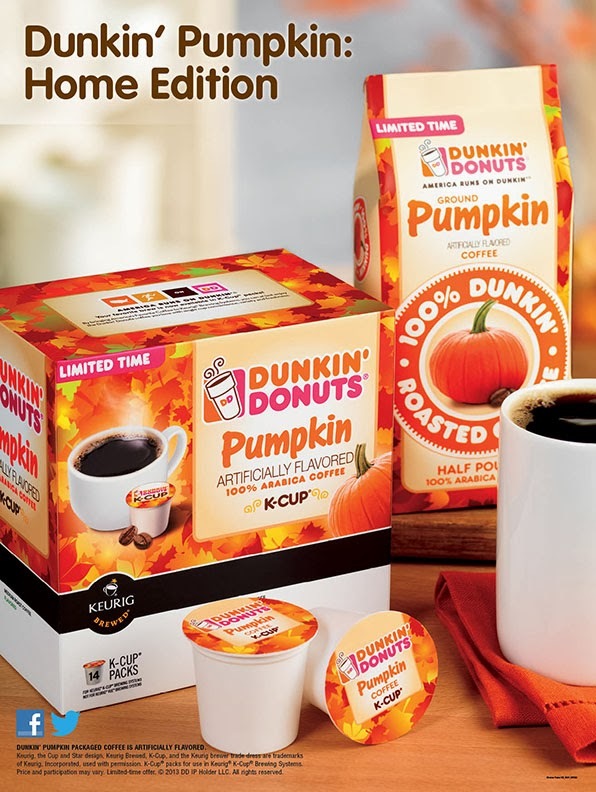 I would like to try the Pumpkin K-cups! I'd love to try the pumpkin pie donut!! I'd like to try the pumpkin pie donut. Pumpkin pie donut. Hands down. I want that donut RIGHT NOW! Would like to try the K-cups !! I look forward to trying the Pumpkin White Chocolate Latte. The Pumpkin White Chocolate Latte sounds good. I want to try the pumpkin donuts. I look forward to trying the Pumpkin Bagel. I really want to try the Pumpkin Pie Donut! My favorite coffee shop and the pumpkin donut looks delicious. Thanks.